After bringing in $1 billion at the worldwide box office and setting up the next installment of the franchise in a way that opens up the story even further, Jurassic World: Fallen Kingdom is now available on Blu-ray, 3D Blu-ray, 4K Ultra HD and DVD with a slew of bonus features that includes behind-the-scenes features and interviews and a look at what it takes to bring these awe-inspiring dinosaurs to life. Directed by J.A. 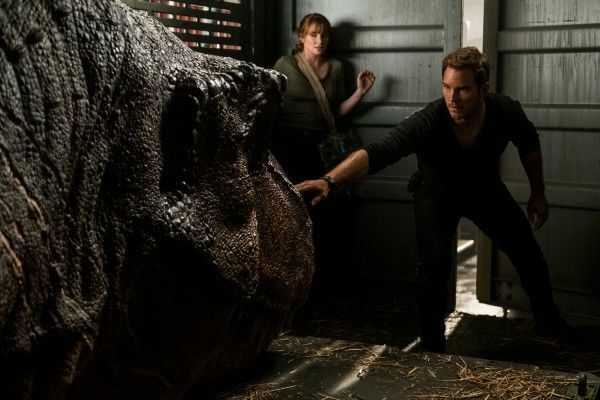 Bayona and executive produced by Steven Spielberg and Colin Trevorrow (who is currently working on developing the third Jurassic World film, set to be in theaters in 2021), this terrifying adventure saw Owen (Chris Pratt) and Claire (Bryce Dallas Howard) uncover a deadly conspiracy that could bring the planet back to prehistoric times and change life as we know it forever. 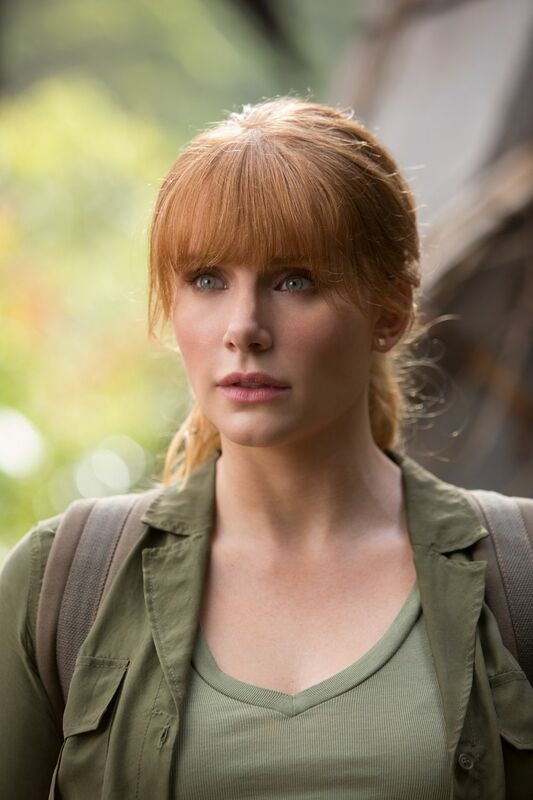 During this 1-on-1 phone interview with Collider, actress Bryce Dallas Howard talked about what it means to her to be a part of the Jurassic World franchise, signing on for such a huge series of movies, how it’s all about the dinosaurs, what she’s heard about the third Jurassic World film, her own hopes for where the story will go next, quintessential Jurassic moments, the evolution of her character, and the coolest thing about being a part of such a huge movie franchise. She also talked about how much she loved being a part of Rocketman, about the life of Elton John (with Taron Egerton in the role), and her plans to direct. Collider: Jurassic Park was a movie that made a huge impression on so many people because watching it in the theater really made people feel like dinosaurs are really alive, and the success of all that has led us to where we are now with the franchise. So, what has it meant to you to be a part of Jurassic World? BRYCE DALLAS HOWARD: It’s exactly what you said. I remember being 12 years old and going on opening weekend to watch Jurassic Park, and it just absolutely blew my mind, even though I was a kid who grew up on movie sets. I’ll never forget it. It was a real turning point for our industry, in terms of the kinds of stories that we could tell, because it looked like we were looking at real dinosaurs. It was unbelievable! So, for me now, as an adult, to get to be a part of this is absolutely thrilling, but what’s more thrilling is that I’ve got kids who are the same age that I was when I saw Jurassic Park, and now they’re getting to experience this, all over again. It’s incredible! It’s an incredible adventure to be a part of. It’s one of those jobs that any actor would have killed for an opportunity in, so you’re like, “Oh, my god, I’m so lucky!” The success of the movies is not because of me. It’s a rare thing when you can be a part of a movie like that, where you don’t feel like the movie is gonna succeed or fail, based on your work or your performance. It’s about the dinosaurs. Before coming to Jurassic World, you hadn’t really done anything like this franchise before, so did you have any hesitation about signing on to it, in the beginning, or was it just an immediate yes, from the beginning? HOWARD: Of course, it was an immediate yes! I got involved around May of 2013, and then the movie actually got pushed and no one else was cast yet. There was awhile where it was like, “I’m doing this, and damn, it’s not happening,” and I wasn’t really allowed to talk to people about it. And then, finally, when the movie got the green light and was happening, Chris [Pratt] was cast shortly thereafter and it became real. From the get-go, it was just me, desperately hoping that it would happen, and then it came through. And so, the fact that there’s now multiple movies is so great.